At Harmonstown Motors we offer an outstanding level of professional customer service at out showroom in Raheny Dublin. Our services range from purchasing a new or quality used car, finance packages, booking a service or anything else you can be confident our team here at Harmonstown Motors will do our best to ensure the process runs smoothly and hassle free. Why not take a look at our fantastic customer reviews below and see for yourself? We recently bought a car from Harmonstown motors. We would recommend them to anyone. Very friendly, helpful and efficient. Any questions we had, they got back to us promptly. Will definitely go back again. "I've had my van serviced here twice. Friendly staff while booking in. The van was serviced quickly enough. This is important for a commercial vehicle as time is money. They have a new system now where they send you a quick video of the vehicle on the ramp showing you the tyres, brakes etc. They point out if tyres need replacing & you can ok the extra work via email. I'm a gadget guy so I liked this aspect." "Have to say very pleased with the service and went out of the way to get a diesel flap for me. Excellent service well done. (Hotpoint Transit Van) "
"Just got our new car from Ford, absolutely delighted with it, customer service was amazing especially Luke. He was brilliant, glad to be back with Ford, so reliable. " "Very friendly staff. Highly recommend." "Very good dealership, lots of choices of cars, very well presented cars, very friendly and easy going staff, plenty of parking, no messing about with these guys. Would highly recommend Harmonstown Motors to anybody." "Good and friendly service, I recommend." "Excellent can't praise them enough. Buying cars from them for 25 years. Wouldn't dream of buying anywhere else." "Always great service from Albert and Paul in service dept Buying Ford cars for years for both me and my wife." "Excellent great friendly staff and great repairs." "Amazing service, very friendly and approachable, would 100% recommend to a friend or anybody else looking for a new motor." "Harmonstown Motors has provided me with excellent customer service and a brand new car for an astonishing price." "Amazing customer service! Very professional! Will be my dealer of choice." "The staff are always very helpful and very skillful at what they do to repair your car." 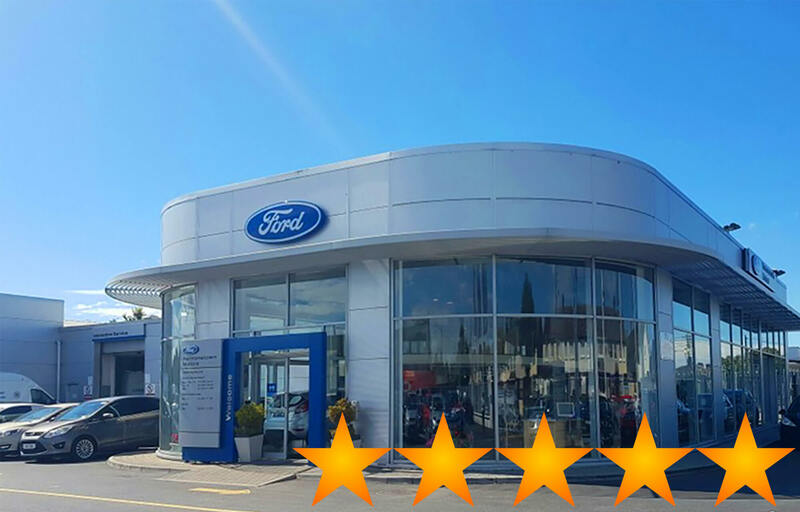 "If you're looking for a Ford in North Dublin, I would highly recommend Harmonstown Motors. The fact that they have bothered to reply to most reviews here (positive and negative) says it all really." "I would recommend to anyone to take the time and go in to Harmonstown Motors for a chat or a test drive. Excellent customer care all round."